Recently, a reader commented on the news that Durham is planning to redevelop the affordable housing at Liberty St and Oldham Towers. The reader was upset by the assumption that converting the housing to mixed-income and having some market-rate units would necessarily mean fewer overall low-income units. I actually made that assumption as well. However, not only is mixed-income a good idea for Durham in its own right, there is reason to believe that the plan (not yet released) may actually increase the number of affordable units overall. Large caveat: below, I discuss Durham's public housing. I have the opinion of someone who has read, discussed, and learned about public housing, but never lived there. I realize this limits my view substantially and some might even say I should not be writing about it at all. I went ahead with this post because even if my thoughts below are flawed, I think it is important to have the discussion. I am open to any feedback in the comments. In Durham, where rents are rising and you constantly hear stories about people struggling to find a place to live, I completely understand the resistance to any project that seemingly decreases the number of affordable units. However, there is real value in transitioning to a mixed-income model. After reading some of the works of one of the great city advocates, Jane Jacobs, I actually applaud the approach that Durham is taking. Affordable housing can be problematic for a city and for the people who live in those buildings! There is a reason "the projects" has turned into a pejorative term. At best, separating lower income people and families from the fabric of the rest of the city is bad for local economies. At worst, it is dehumanizing, creating a "separate but equal" approach that turns into "separate but inferior" in practice. It's not acceptable to relegate vulnerable citizens to certain roped-off areas, just so we can forget they exist, but it's also not in our best interest to do so if we want to create a vibrant city! There aren't many residents who would choose to live in low-income project buildings if they had the means/ability to live elsewhere. This creates a depressed, homogeneous environment where residents are cut off from opportunity and a culture of working towards a better future. Meanwhile, the area around these projects become less desirable as well. Right or wrong, people don't want to move into a home that is near public housing. Businesses don't want to open storefronts near them as well. They become dead zones, which cut the affordable housing residents off from the vibrancy of the rest of the city even more. In mixed-income facilities (developments that feature some market-rate housing and some affordable units), those who need assistance can live in a desirable community. They are no longer in a culture of being "stuck." Done the right way, diversity of income can be a huge asset to the community. Businesses, attractions, and visitors are drawn to the area as well, creating a more lively neighborhood and an all-around better experience, both for the market-rent dwellers and the affordable unit dwellers. Meanwhile, buildings are more likely to be maintained as they don't have to completely rely on government funding. It's no surprise so many affordable housing buildings quickly start to look old and run-down. In addition to injecting life into these areas, it just feels like the right thing to do. 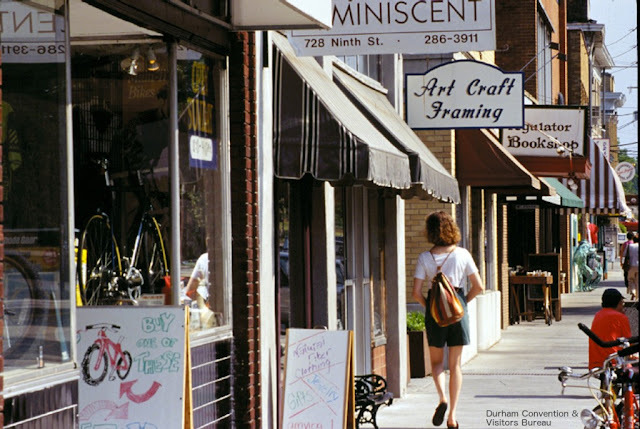 Durham wants to include all members of society in the prosperity that Durham is seeing. The leaders of this city, including Mayor Schewel, have often spoken about "shared prosperity" in Durham. Mixed-income housing is a fantastic step in that direction. "[Downtown] Durham public housing neighborhoods will be torn down and rebuilt as mixed-income and—in the case of valuable properties downtown—mixed-use communities." "All told, 577 DHA residents—including many kids and seniors—live in the downtown area, but there is the potential for much greater density. Fayette Place (formerly known as the Fayetteville Street projects) consists of about twenty acres of unused land. Forest Hill Heights is barely populated, with fifty-five apartments on fifteen acres. Linked together, Oldham Towers and Liberty Street would total twelve acres." So how do we increase the number of affordable units and have market rate units as well? How do we have our cake and eat it too? As is so often the case in downtown districts, higher density seems to be the answer. Let's build more units on the same amount of land! Not to mention that this helps relieve the overall housing supply shortage that Durham is seeing. I think Durham is right to move towards mixed-use and mixed-income buildings to create a better city for everyone and if they can do so while increasing the supply of both market-rate and affordable housing, then I am excited for the future of the city! Hopefully the city can get something started at Fayette Place or another largely vacant lot first, and build new places, with first priority going to existing residents, then move on to redevelop currently-inhabited places. I definitely agree that more density and better pedestrian access are needed for these developments, I also don't want to see the city evict low-income tenants to get new things built. How many new units of housing has DHA built in the last 10 years?